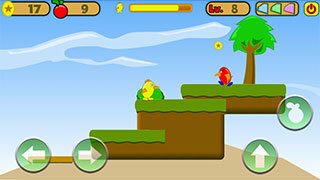 Game Nob’s world – guide a funny bird through colorful levels full of different obstacles and enemies. 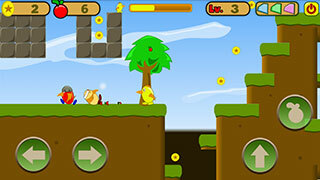 Collect golden coins and different bonuses. 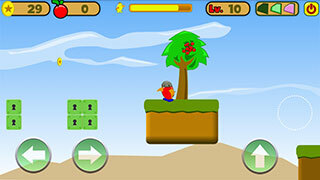 Jump from platform to platform, over pits and other obstacles on the way. In this Android game you have to try to get three jewels for completing each level. Beware of evil birds and other enemies. Defeat enemies by jumping on their heads. Collect fruits that allow you to shoot enemies. Try to collect all the coins on different platforms. + 30 adventure levels to play and more in the future. + Great Sounds and Graphics. + Hero can run, jump, shoot, swim and wall kick. + Different enemies to defeat. + To swim or wall kick, hero need pass 2 training course about swim and wall kick in level 1 and 4. + Tap Left / Right to move! + Jump to crash the enemy! + Collect fruits to shoot enemy! 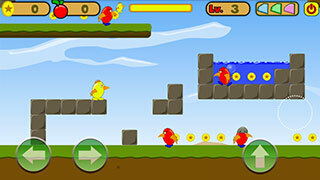 Download free game Nob’s World now! It is a fun game for every one!